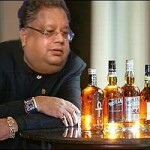 Rakesh Jhunjhunwala, the Badshah of Dalal Street, is a very kind-hearted and patient soul. However, at heart, he is reticent and a private person. He does not like anyone poking or pestering him about his favourite stocks. In such situations, the Badshah is known to lose his cool and tear the inquisitor apart. So, interviewing Rakesh Jhunjhunwala is a hazardous task, as many embittered journalists will testify. 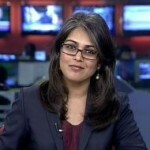 However, what man can resist the charms of Menaka Doshi, the charming and effervescent anchor at CNBC-TV18. Menaka Doshi is a classic example of beauty with brains. Behind that pleasant façade is a razor-sharp mind. She has a quick-wit and is able to match the Badshah’s repartees. If there is one thing that Rakesh Jhunjhunwala appreciates, it is a fast-paced and witty conversation. And, if the inquisitor is as good looking as Menaka Doshi, then the Badshah drops his guard and reveals all top secrets. In her latest interview with Rakesh Jhunjhunwala, Menaka initially had a rough time because the Badshah brusquely told her “I won’t tell you what I bought”. When she persisted, he glared at her and said “I don’t want to talk companies; I do not want to talk sectors”. However, Menaka is not one to be discouraged so easily. She changed track, waited for his mood to change, and came back to the question when the Badshah’s defenses were down. 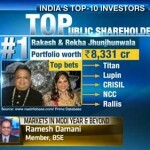 Rakesh Jhunjhunwala started off by saying that he could “not describe how bullish he is”. He pointed out that he had entered the market in 1985 when the Index was at 150 points and today it is at 26,700. “The market still feels like it is at 150” the Badshah exclaimed, underscoring his bullishness. The Badshah reminded the doubting Thomas’s amongst his disciples about how he had declared as far back as in August 2013 that “the mother of all bull markets is ahead of us” He had repeated this advice in December 2013 and also in May 2014. Though Rakesh Jhunjhunwala kept a stoic expression, one could sense a tinge of regret in his tone that many of his disciples had treated his advice with disdain and disregard and missed out on the huge gains that have effortlessly flowed. The Badshah further explained that the super cycle on the commodities boom is over and that it would now go through a deep correction and maybe a bear market. He added that that oil prices would settle somewhere between USD 70 per barrel and USD 80 per barrel and stay there for a long time. OMCs like HPCL, BPCL and IOC would benefit from this because their subsidy burden would slump and they would be entitled to charge market related prices, he emphasized with a gentle smile. Rakesh Jhunjhunwala also came out with all guns blazing in favour of the upstream companies like ONGC and OIL. “I am very bullish. I feel the biggest beneficiary of this will be ONGC and Oil India” the Badshah said as Menaka gazed at him, wonderstruck. 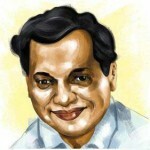 The Badshah sensed that his fans would be puzzled as to how the falling crude prices could benefit ONGC and OIL and so he explained that the Government would be induced to abolish the subsidy burden on these companies, resulting in their realizations surging inspite of the fall in the crude prices. The Badshah singled out two other stocks for praise. The first is United Spirits which is presently facing headwinds. “You have 50-53 percent India’s liquor market, you have the world’s largest company (Diageo) owning it, you have the highest corporate governance, you have the highest skills in running spirits business, I think it’s a lethal combination”. The second stock is MCX which he equated with what CRISIL was in 1999. “If I want to have an investment in India’s financials, MCX is best because it is unique. It is a play on the trading and the hedging and the liquidity and the growth of Indian markets. To establish a near monopoly with 85-90 percent market share in commodities, I think it is unassailable position” he emphasized. Rakesh Jhunjhunwala rubbished the fears amongst some market participants that the reversal of Quantum Easing and increase in interest rates would lead to a collapse of emerging markets like India. 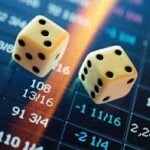 “Suppose deposit rates become 1 percent, what difference is it going to make? 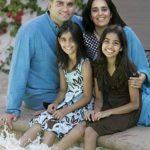 Are you coming to India to earn 1 percent? So all this is overhyped … What happens in the world could affect us may be for a week, 10-15 days or one month. Even if interest rates go up, the quantum of rise will be one which is not going to affect sentiment towards India” the Badshah said, with a sparkle in his eyes. The Badshah did, however, caution his disciples to brace themselves for a correction. His logic was that the rapid rise from 5200 to 8200, a 3000 point rise, meant that the markets have to take a breather, sooner or later. “Corrections are part of the market”, the Badshah added in a soothing tone. At the end, the Badshah sent out the subtle message that it is still not late for investors to join in. “India will be the best performing economy in the period 2017-18 with a double digit growth and a lot of investments is waiting to come into India”, the Badshah said. “Buy stocks with good corporate governance, good allocation of capital, good return on equity and unutilised capacity with a three-five year horizon”, he added. “This is just a trailer, you just watch the action movie” the Badshah exclaimed, with a big cheerful smile on his face, as Menaka looked on with adulation and admiration. Can We Ignore A “Deep Moat” Stock Backed By Rakesh Jhunjhunwala, Radhakishan Damani, Prof. Shivanand Mankekar, Kenneth Andrade & Prashant Jain? Well said, yeah surely MCX and USL will rock the index by next DEEPAVALI. the interview sucked high time.. she was too too particular on crude and OMCs.. this is a diwali interview and not like any other day.. just you tube interviews with Udayan Mukherjee.. so so cool, calm and patient he.. he allows Rakesh to speak completely.! Menaka on other side was too too excited to be sitting in front of big bull, interrupting him way too too often.. completely disappointed with her..